As a gardener, you want only the best for your plants and the soil they grow in. That said, options for fertilizer are wide ranging with manure being quite popular for many gardening needs. 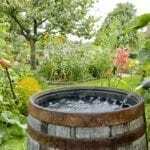 There are numerous types of manure that can be used in the garden, but one that comes to mind less frequently, though just as beneficial, is the use of guinea pig manure on gardens. Can You Use Guinea Pig Manure? So can you use guinea pig manure as fertilizer in the garden? Yes, you can. These small rodents, along with other common household pets such as gerbils and hamsters, are omnivores, eating both plants and animal proteins (mainly from insects). That being said, those kept as pets are typically fed a plant-based diet with much of their proteins and minerals obtained from specialized food, often in the form of pellets. So, unlike meat-eating animals (including your cat or dog), their manure is perfectly safe for use in the garden and suitable for home composting too. Now that you know it’s possible to use guinea pig manure on gardens, where do you start? When using guinea pig manure as fertilizer, you have a variety of options. Their droppings are made up of pellets, just like rabbits. Therefore, they are used much the same way in the garden. Guinea pig waste can be added directly to the garden without the worry of burning your tender plantings. This manure breaks down quickly and shares all the same nutrients as rabbit dung — like nitrogen and phosphorus. There’s no need to compost beforehand. However, this is not to say that you cannot put it in the compost pile. In fact, many people actually prefer to toss it in the compost heap. Pelletized manure from house pets like guinea pigs, rabbits, hamsters or gerbils can be safely composted, along with the wood or paper shavings used in their cages. Simply place the droppings on your compost heap, add some straw and mix it in. Allow this to sit with other compostable items for several months, turning the compost every so often as needed. You can place guinea pig manure on gardens once the compost has been sitting for at least six months. You can also make guinea pig manure tea for your garden plants. When cleaning out the pet cage, just add the guinea pig manure into a large container with a lid. Keep in mind that it may take a few weeks before you have enough for entire bucket full, so stick with a container that you can work with easily, like a large coffee can, or simply fill a 5-gallon bucket only half full instead. Add about 2 cups of water to this container for every 1 cup of guinea pig pellets. Allow the manure tea to sit overnight, stirring thoroughly. Some people even let it sit for a day or two so the pellets have time to soak in the water and fall apart easier. Whatever method works best for you is fine. Strain the liquid into another container for pouring onto your garden soil or add the strained mixture to a spray bottle for fertilizing smaller plant areas. Now that you see how easy it is to use guinea pig waste for the garden, you can take advantage of the many benefits of using guinea pig manure as fertilizer.